What the heck is Nibbler? The opening scene of Man Vs. Snake: The Long and Twisted Tale of Nibbler, a new documentary by Andy Seklir and Tim Kinzy, asks that question, which is pertinent because the movie is about several men and their attempts to score more than a billion points on the arcade game Nibbler. When initially achieved in 1984 by Timothy McVey ("not the terrorist," as everyone is quick to point out), it was the first time that any arcade game player had exceeded the magical 'one billion point' mark on any game. Of course, not every machine in the golden age of video gaming tracked points that high, which highlights the foolhardiness of the endeavor; it was not a universal standard for excellence, as much as it was a recognition of the player's steely endurance. (Individuals would have to play continuously for 35 hours or more, which is no small thing.) Nibbler was not, evidently, a hugely popular game back in the day, but like any game, it required time to master the basics: leading a snake that liked to eat its own tail through a maze, over and over and over again. 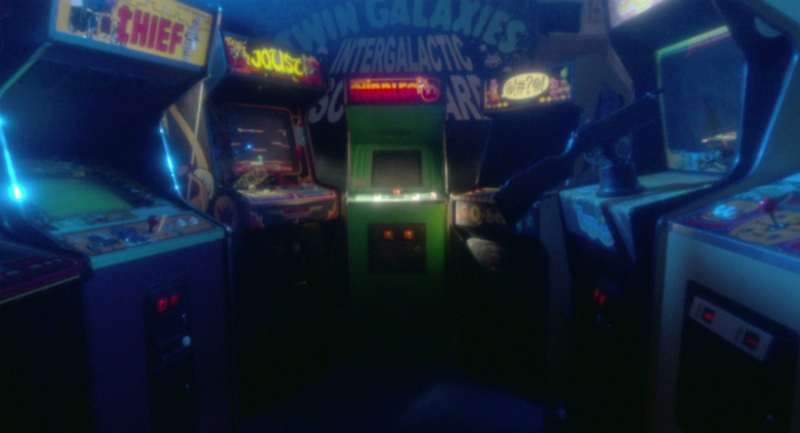 The unprepossessing McVey grew up in a small town in Iowa, which just happened to be the home of Twin Galaxies, an arcade owned by Walter Day. Day initiated the practice of recognizing and publicizing players who scored the most points in arcade games; he's appeared in a variety of gaming documentaries, most notably in The King of Kong back in 2007. He plays a key role here. After McVey set his record on Nibbbler, he was done with it. His record appeared to have been an unassailable one with no one else coming close. Yet, unknown to him and the U.S. gaming community, Enrico Zanetti broke McVey's record in Italy later that year. Zanetti, a confident, good-looking athletic type, enjoyed the acclaim of his local community, and didn't give two figs whether other people knew about or acknowledged his record officially. Back in Iowa, McVey settled into marriage and a steady, if boring, job. He was also content to let things lie, until he finally learned about Zanetti's record. His competitive juices stirred, and he decided to reclaim his title, even buying his own Nibbler arcade game so he could practice at home. He decided to enter into a competitive match with veteran gamer Dwayne Richard, who provides a large spark for McVey and the movie. Man Vs. Snake revolves around McVey's new quest, which is a tricky strategy since he is such an ordinary fellow. In other words, he's no Billy Mitchell, the cocky, arrogant game player who so enlivened The King of Kong. In this movie, though, even Billy Mitchell is no Billy Mitchell. Instead, he's a very decent man who is also a longtime friend of McVey, making frequent, supportive phone calls to urge him onward. As to McVey, his blue-collar personality makes him entirely relatable. He doesn't look entirely comfortable on camera, preferring to focus on his game playing. His supportive wife Tina obviously knows him well, keeping out of his way when he's playing the game. Even though he's a quiet man, his spirit of competition is heightened by the more high-powered Richard. The relative lack of conflict becomes a selling point for the movie, making it easy to cheer for McVey as he endeavors to reclaim his point-scoring title and, in the process, win a bit of respect for Nibbler, perhaps the least likely arcade game to earn a documentary about its implacable champion.